About four centuries ago, the term technology was used to address any kind of systematic treatment of human tools. So any discussion about the future of technology just meant to think about development of more modern tools and equipment and finding better ways to use them. After industrial revolution, technologists moved to the factories. Then, the future of technology found a new meaning: Thinking about future factories and fully-automated production lines operated by mechanical robots. After development of the electronic technology and invention of semiconductors, discussions about the future of technology inclined toward smaller and smarter gadgets (e.g. computers, mobile devices, watches, home control systems). 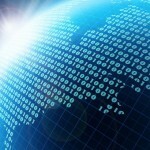 This approach is still the dominant trend in predicting the future of the technology. But something missed in the middle of these amazing imaginative discussions about future. 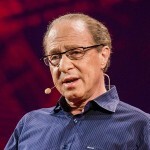 We are reaching the singularity as it is neatly described by Ray Kurzweil in his book titled the singularity is near. Future is not the fast-paced-past. It’s the time to expect radical changes. Not only in the devices we use but also in ourselves as one of the most powerful species ever emerged on the planet. Many people may think it’s nonsense to think about the future in this sense. But there’s one thing for sure. If we want to have some contribution in building the future, we need to think about this singularity and its consequences. The best point to start is following the people who are already on the edge. The ones who’ve helped us to reach here and the ones who are not content with the current stage of the human development. Here’s a short list of the people I believe they belong to the future. Their concerns are not limited to the near future: the next year or the next decade. They think about and talk about the future of humanity and transhumanism. He has always been in my people-of-future list. Not as executive chairman of google, but as someone who is interested in future of humanity and the developing path of the digital age. 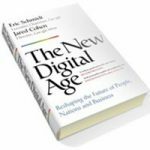 His book about the new digital age is one of the most popular books about this topic enriched with many contemporary practical and political examples (Here‘s my review of the book). He also has an active twitter account. He works as director of engineering at google and has been involved in the development of some of the influential technologies we know today (e.g. optical character recognition, speech recognition, text to speech synthesis). He has a very active and up-to-date website reporting or republishing his articles in other media. Also don’t miss his book titled Singularity is near on the subject of singularity. As co-founder of MIT’s AI laboratory, he has been engaged with the concept of intelligence for decades. He doesn’t have a very active presence in the online world and is not so interested in social networks or blogging (Marvin Minsky is his official MIT page). But would be nice if you could view his TED talk on health and the human mind. He has some influential books and articles about future of the technology which I think The Emotion Machine would be a good starting point. The gadget world knows him as inventor of the Palm Pilot. But he has many other things to tell us about ourselves. Jeff has dedicated his time on research about neuroscience and developing a general theory about the function of the brain. He has a very simple yet deep book on intelligence and an amazing TED talk about the way brain science will change computing. You will understate him if call him as co-founder of paypal or first outside-investor of facebook. He is a modern business philosopher with some hands on rich and famous technology-based businesses. 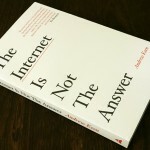 His book titled Zero to One is a good starting point to know him more. Nick Bostrom envisioned a future enriched with machine intelligence long before it became the dominant point of view. His website is a good place to start if you want to know him and his book titled superintelligence is an effective tool if you want to understand him!